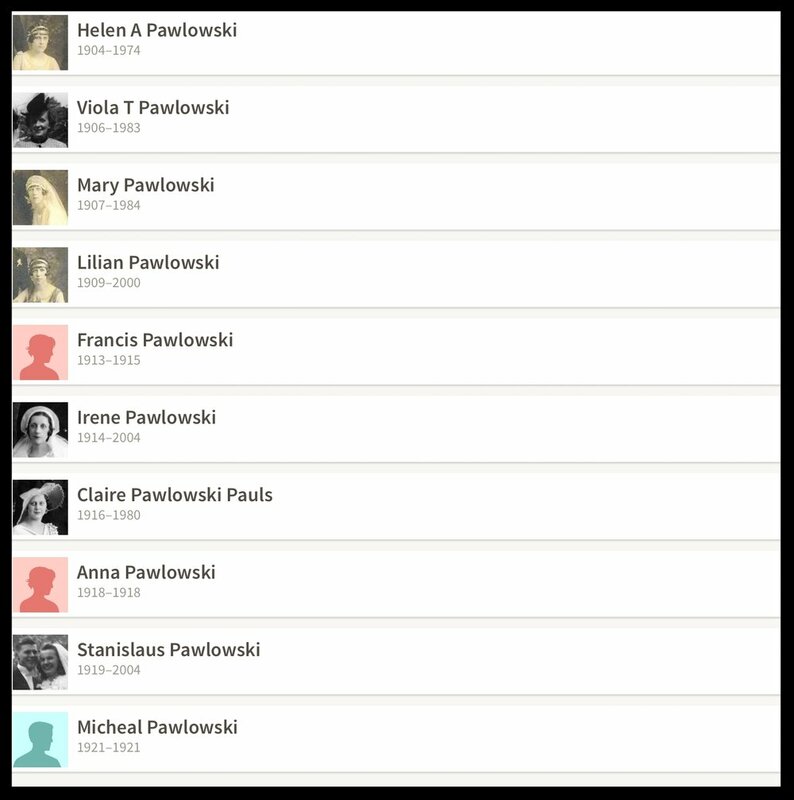 Franciszka Pawlowska (1913-1915) was the 5th of 10 children by my great grandparents, Adam Pawlowski (1879-1959) and Marianna Grzeskowiak Pawlowski (1879-1941). She died one year before her sister, my grandmother, Claire Pawlowski Halvangis (1916-1980) was born. Franciszka was my great aunt. Here are the Pawlowski siblings in my family. In the span of 15 years my great grandparents lost two children as infants and one, Franciska, as a toddler. It is hard to imagine the grief that must have caused. As noted below, Franciszka's cause of death was diphtheria, "a serious bacterial infection usually affecting the mucous membranes of your nose and throat." "Diphtheria once was a major cause of illness and death among children. The United States recorded 206,000 cases of diphtheria in 1921 and 15,520 deaths. Before there was treatment for diphtheria, up to half of the people who got the disease died from it. Starting in the 1920s, diphtheria rates dropped quickly in the United States and other countries with the widespread use of vaccines. In the past decade, there were less than five cases of diphtheria in the United States reported to CDC. However, the disease continues to cause illness globally. In 2014, 7,321 cases of diphtheria were reported to the World Health Organization, but there are likely many more cases." That is what we know today. Here is an article from the Detroit Free Press in 1910 describing what was known about the disease then. And here is a advertisement in 1915, the year of Franciszka's death, for a preventive diphtheria treatment called Tonliline. 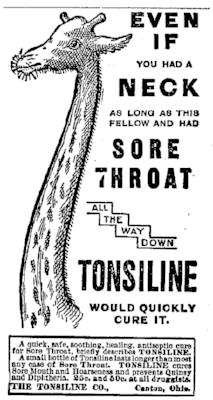 Here is another vintage newspaper ad for Tonsiline as well as a more modern iteration. 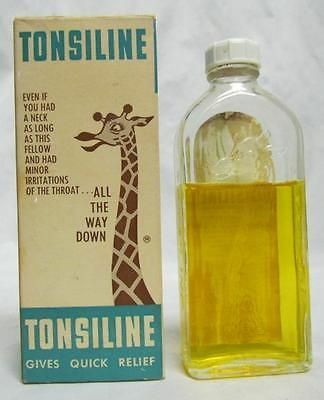 I guess you can actually buy Tonsiline today, but I am not sure if it is the same formula or not. I am also not sure if this was an effective preventative remedy or just one of the hundreds of quackish potions, lotions, unguents and ointments that were hawked in newspapers back in the day. As I think about Franciszka and my family tree I am reminded of the mission of The Psychologenealogist: Exploring the spaces where psychology, genealogy, and history converge - one story at a time. Here are some of the questions I have about. What tricks do you have for finding children, like Franciszka, who died in between census years? Are there ways to get medical records, if they even exist, beyond a death certificate? What are the best "cause of death" resources you have found in your genealogy research? Who are the children who died in your family tree and what did they die of? How does the tragedy of childhood disease and infant mortality impact the emotional well being of future generations? How do we "know" and honor siblings of ours who die before we are born? Is playing on the anxieties of worried parents when it comes to selling "sham" treatments and remedies any different today than it was in 1915? This is the 14th of 52 weekly posts planned for 2018. It was inspired by the #52Ancestors writing challenge issued by professional genealogist, Amy Crow Johnson. The challenge: once a week, for all 52 weeks of the year, write about a relative in your family tree. Older PostThe Psychogenealogist Pic of the Week (#66) - "I am very weak, wood is very expensive and hard to find."